Did you know that the U.S. government spends more than $440 billion per year with small businesses? Federal spending is at an all-time high making government contracting an extremely lucrative option for small and emerging business owners. While getting a pie of the government business sounds rewarding, it sure is a lengthy and bumpy process. 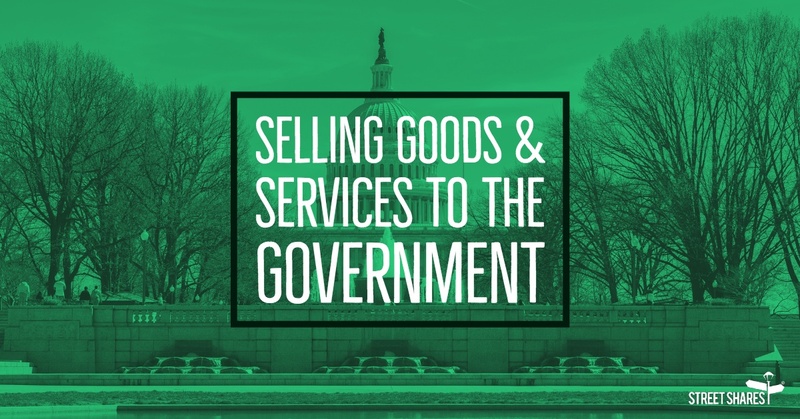 Before deciding to sell your services and products to the government, you need to assess what your core offering is and if it will have takers in the government. Start your hunt at FedBizOpps – a website that lists the products and services the government is actively seeking. Once you decide your offering, carve out a niche for your company that will set it apart from the competition and there you go! There are instances when a contractor does not have enough capital to take up the entire responsibility of a project. In such cases, one should always look at entering subcontracting agreements. Subcontracting with larger contractors gives you the much-needed exposure and credibility that will go a long way when you decide to expand your own business. Websites such as SBA’s Subcontracting Network or the GSA’s Subcontracting Directory list subcontracting opportunities that can be of help. Before you begin the bidding process, it is important to sort your funds out. In case you win the bid, there are chances that you may not get paid for 30-60 days after you invoice. You need to consider your monthly expenses and plan well in advance. You don’t want to be stuck in a situation wherein you win a government contract but don’t have enough funds to proceed with the implementation. Be prepared with a Financial Capability Letter that shows that you are financially equipped to fulfil the contract. This is a valuable documentation to have because it adds to your credibility and projects you as a strong vendor in front the government, thereby increasing your chances of winning the contract. The government generally issues a Request for Proposal (RFP) to keep contracting fair. RFP is a document that lists down the requirements from the company. The company needs to thoroughly read and understand what is required from each section on the RFP. In an overly competitive market, it is critical to put your best foot forward and articulate the value your business will bring to the table through this proposal. Learn more about putting together an award-winning proposal here. Networking plays an important role in the life of a government contractor. Not only should you network with federal agencies, but you must also meet potential subcontractors and prime contractors who you could team up with and win contracts. Government procurement conferences are a great opportunity to make the start. Before you attend one, ensure you have done your research on the attendees to strike up a meaningful conversation that can lead to potential business opportunities. We understand how daunting a process government contracting can be. However, if given time, it can prove to be one of the most lucrative options for small business owners. 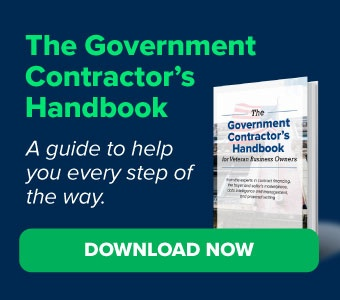 We bring you The Government Contractor’s Handbook. Curated by the experts in contract financing, the buyer and seller’s marketplace, data intelligence and management, and proposal writing, this ebook is a resourceful guide for all veterans and small business owners who wish to explore the world of government contracting. Download it here.